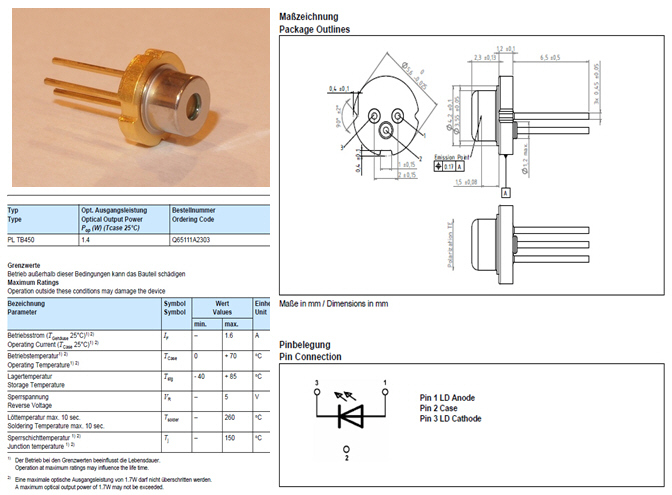 This is a new OSRAM 450nm 1.4W laser raw diode. Depending on the mode of operation, these devices emit highly concentrated visible light which can be hazardous to the human eye. Products which incorporate these devices have to follow the safety precautions found in IEC 60825-1 “Safety of laser products”.